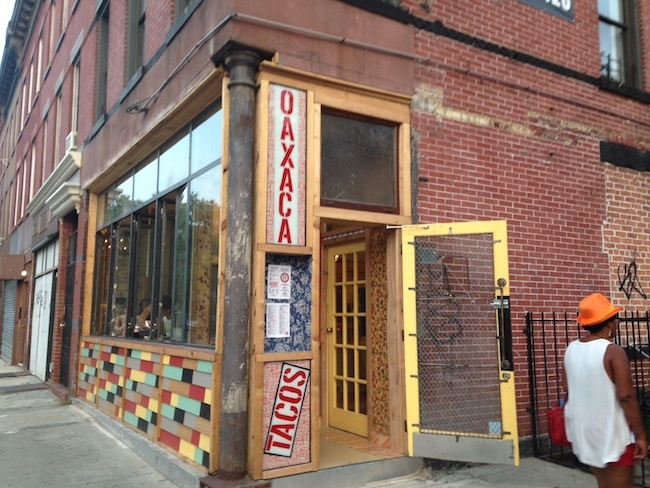 Now open in Bed Stuy, on the corner of Halsey Street and Lewis Avenue (right across the street from Saraghina): Oaxaca Taqueria. 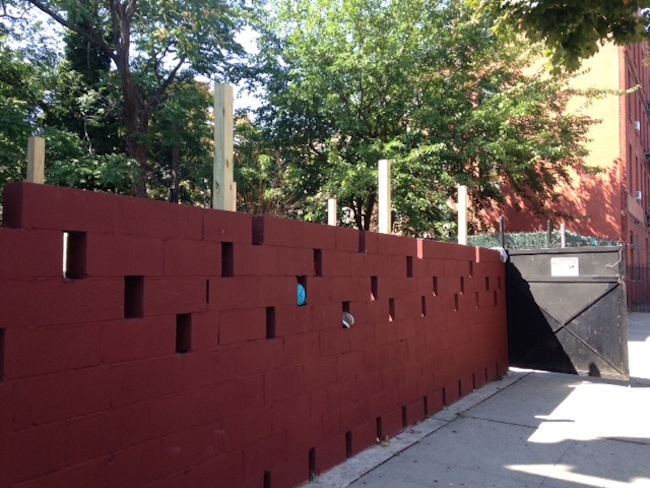 This is the second Mexican restaurant for Bed Stuy this summer, as Tepache opened just a block away, on Halsey and Marcus Garvey, this July. The menus are even similar — Oaxaca is serving up tacos, enchiladas, tortas, quesadillas, burritos, platos and ensaladas. Prices look fair, with tacos costing around $3.50, tortas costing $8.50, and burritos around $7. There’s also a lunch special Monday through Friday from 11 to 3pm costing between $6.50 and $7.95. 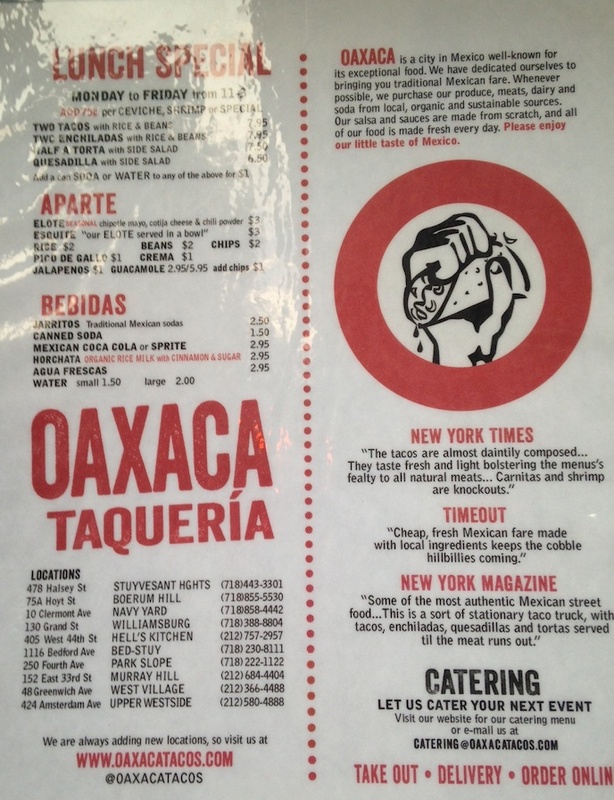 Oaxaca is a Brooklyn-based mini chain that’s mostly known for its tacos, and there is another Bed Stuy location at 1116 Bedford Avenue. They have a spot on Bedford and Lexington. Haven’t been to this one yet but they are a small chain with locations in Manhattan. Double check your orders before you leave.